Children Rachel Elizabeth Smoltz, Kelly Christina Smoltz, Carly Maria Smoltz, John Andrew Smoltz Jr.
John Smoltz was an All-State baseball and football player at Waverly High School in Lansing, Michigan, before the Detroit Tigers selected him in the 22nd round of the 1985 amateur draft. He was the 574th selection of the draft. Smoltz played initially for the Class A Lakeland Tigers minor-league team, and then moved on to the Class AA Glens Falls Tigers in 1987, posting disappointing records of 7–8 and 4–10. On August 12, 1987, he was traded to the Atlanta Braves, where he played on their Class AAA Richmond Braves. The 1987 Tigers were in a three-team race, chasing the Toronto Blue Jays for the AL East division lead; in need of pitching help, Detroit sent their 20-year-old prospect to the Braves for 36-year-old veteran Doyle Alexander. While Alexander did help the Tigers overtake the Blue Jays for the division title, he was out of baseball by 1989. Smoltz, on the other hand, became one of the cornerstones of the Braves franchise for the next two decades. Over his career, Smoltz threw a four-seam fastball that was clocked as high as 98 miles per hour, a strong, effective slider and an 88–91 mph split-finger fastball that he used as a strikeout pitch. He also used a curveball and change-up on occasion, and in 1999, he began experimenting with both a knuckleball and a screwball, though he rarely used either in game situations. 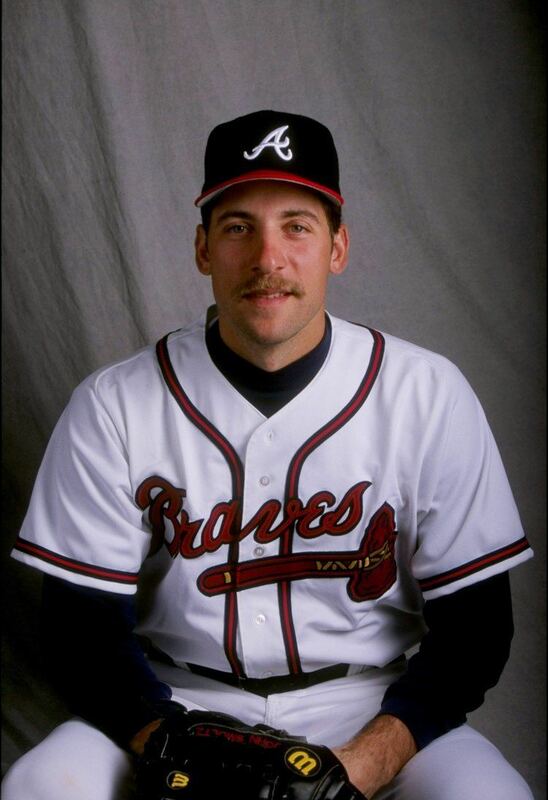 The next year, Smoltz won 15 regular season games and was the MVP of the 1992 National League Championship Series, winning two games. He left the seventh game trailing, but ended up with a no-decision as the Braves mounted a dramatic ninth-inning comeback win. In the World Series that year, Smoltz started two of the six games in the series, with a no-decision in Game 2 and a win with the Braves facing elimination in Game 5. Before the 1993 season, the Braves signed renowned control pitcher Greg Maddux, completing – along with Smoltz and Glavine – what many consider to be the most accomplished starting trio ever assembled on a single major-league team. Smoltz again won 15 games, but suffered his first postseason loss to the Philadelphia Phillies in the NLCS despite not allowing an earned run. Smoltz had a 6–10 record in the strike-shortened 1994 season, and during the break, had bone chips removed from his elbow. Returning as the Braves' No. 3 starter, he posted a 12–7 record in 1995. Smoltz had shaky postseason numbers, avoiding a decision despite a 6.60 ERA. But Smoltz and the Braves won the franchise's only World Series in Atlanta, thanks in great part to Maddux and Glavine, who had begun to overshadow Smoltz. The next season, 1996, was the best of Smoltz's career. He went 24–8 with a 2.94 ERA and 276 strikeouts, including winning a franchise-record 14 straight decisions from April 9 to June 19. He won the NL Cy Young Award with 26 of the 28 first-place votes. Smoltz's effectiveness in 1997 was only slightly less than his Cy Young season, but frugal run support limited him to a 15–12 record. Smoltz also received a Silver Slugger Award for his batting. He underwent Tommy John surgery before the 2000 season, and missed the entire year. 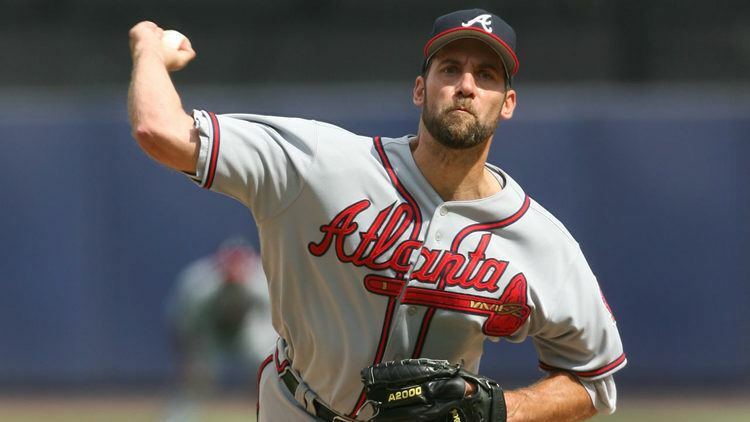 When he was unable to perform effectively as a starter in 2001, Smoltz made a transition to the bullpen, filling a void as Atlanta's new closer down the stretch, replacing John Rocker. In 2002, his first full season as a closer, Smoltz set a National League record with 55 saves, topping the previous mark of 53 shared by Randy Myers (1993) and Trevor Hoffman (1998), but falling two short of Bobby Thigpen's major-league record of 57; he tied the record on September 22 in a 4–1 win over the Florida Marlins, and broke it on September 27 in the first game of a doubleheader, a 3–1 road win over the New York Mets. Smoltz finished third in the Cy Young Award voting; Éric Gagné equaled his record a year later with the Dodgers. 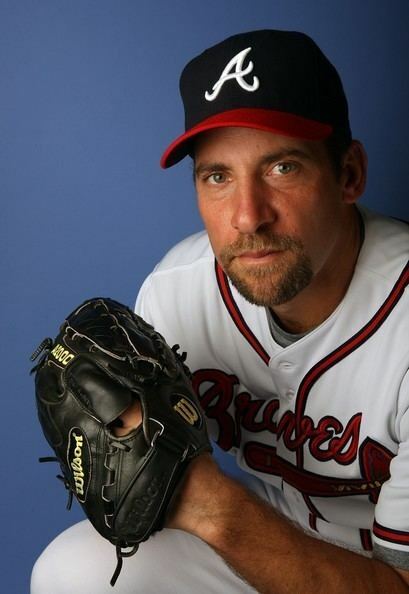 Injuries limited Smoltz slightly in 2003, but he still recorded 45 saves with a 1.12 ERA in 64⅓ innings pitched. In 2004, Smoltz finished with 44 saves, but was frustrated with his inability to make an impact as a closer during another Braves' postseason loss. That year, he broke Gene Garber's franchise record of 141 career saves; his final total of 154 saves was eventually surpassed by Craig Kimbrel in 2014. After three years as one of baseball's most dominating closers, the team's management agreed to return Smoltz to the starting rotation before the 2005 season. His renewed career as a starter began inauspiciously. He allowed six earned runs in only 1 2⁄3 innings—matching the shortest starts of his career—as the Braves were blown out on Opening Day by the Marlins. Poor run support contributed to an 0–3 start despite stronger pitching performances by Smoltz. After these initial difficulties, though, things fell into place. At the All-Star break, Smoltz was 9–5 with an ERA of 2.68 and was chosen for the 2005 NL All-Star team. Smoltz gave up a solo home run to Miguel Tejada in the second inning of the American League's 7–5 victory and was charged with the loss. For his career, he was 1–2 in All-Star games, putting him in a tie for the most losses. 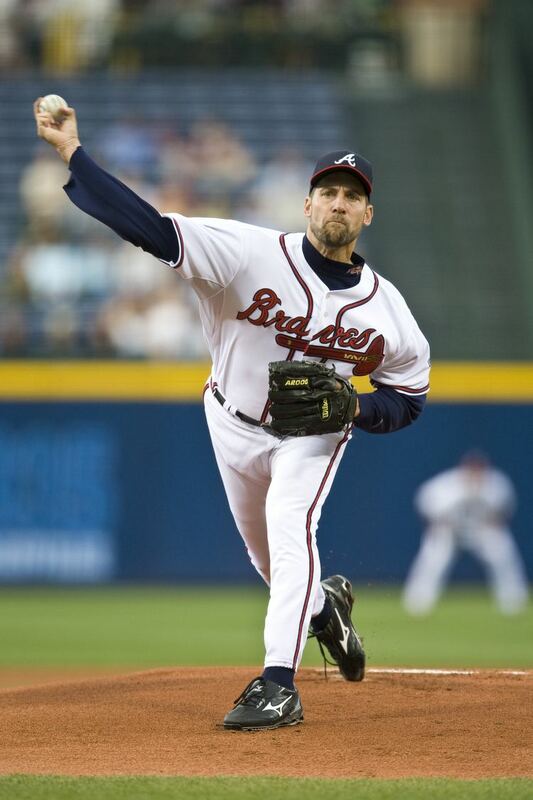 Smoltz finished 2005 at 14–7, with a 3.06 ERA and 169 strikeouts while allowing less than one hit per inning. Smoltz had answered the critics who doubted he would be able to reach the 200-inning plateau after three years in the bullpen. Nonetheless, Smoltz's increased workload caused him to wear down toward the end of the season. On September 21, 2006, the Braves announced they had picked up Smoltz's $8 million contract option for the 2007 season. 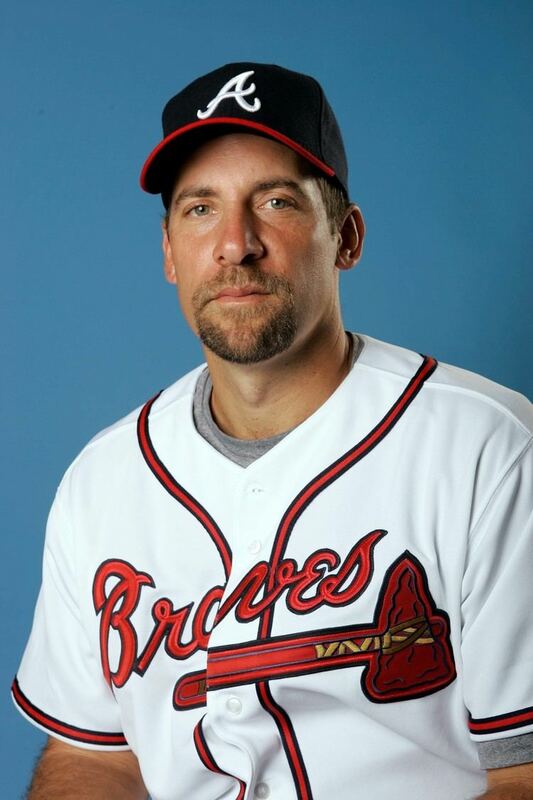 On April 26, 2007, Smoltz agreed to a contract extension with the Braves. The extension includes a $14 million salary for the 2008 season, a $12 million vesting option for 2009 dependent on his ability to pitch 200 innings in 2008 and a $12 or $13 million team option for 2010 dependent on his ability to pitch 200 innings in 2009. 2007 was a year of reunions and milestones for Smoltz. On May 9, he faced Maddux for the first time since July 10, 1992. Smoltz earned a win in a 3–2 victory over the San Diego Padres; Maddux received no decision. On May 24, exactly 11 years to the day after recording his 100th win, Smoltz recorded his 200th win against Glavine. He faced Glavine three other times, faring 3–1 overall against him. 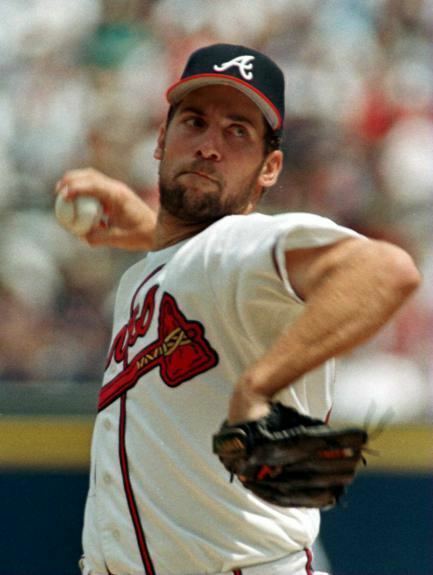 On June 27, Smoltz, Glavine and Maddux each recorded wins on the same day. On August 19, Smoltz set the Braves strikeout record by striking out the Arizona Diamondbacks' Mark Reynolds. It was his 2,913th strikeout, passing Phil Niekro on the club' all-time list; he struck out a season-high 12 in the game. He finished the year 14–8 with a 3.11 ERA and 197 strikeouts. The stalwart pitcher was the only holdover on the Braves roster from their 1991 worst-to-first season until Glavine returned to the Braves after an absence of several years following the 2007 season. 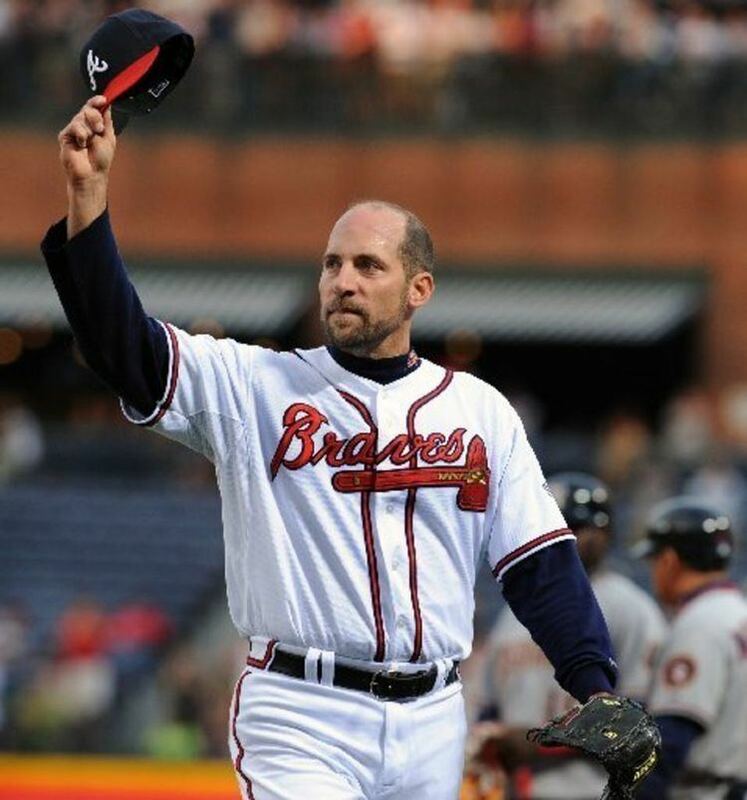 On April 22, 2008, Smoltz became the 16th pitcher in major-league history to reach 3,000 career strikeouts, and the fourth pitcher to strike out 3,000 batters for one team, joining Walter Johnson, Bob Gibson and Steve Carlton. 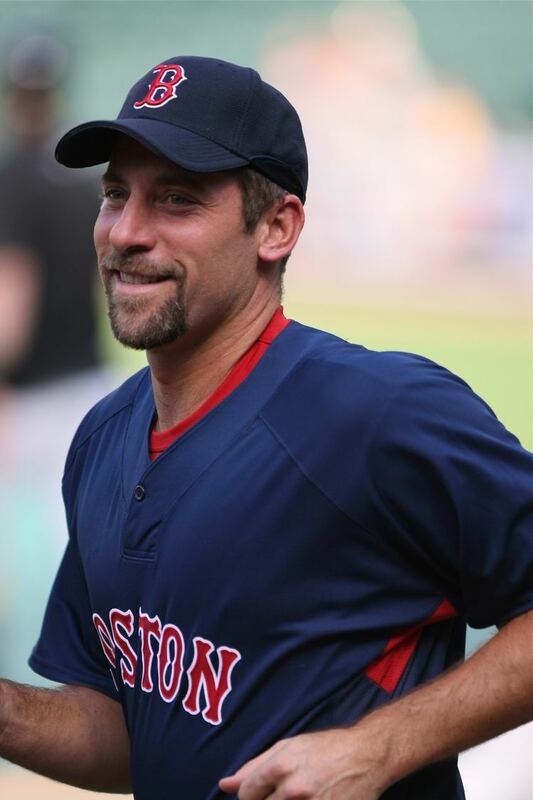 In December 2008, several members of the Boston Red Sox organization, including pitching coach John Farrell, vice president of player personnel Ben Cherington and assistant trainer Mike Reinold, flew to Atlanta to participate in a 90-minute workout with Smoltz. Throwing for only the second time since having surgery on a torn labrum in his pitching shoulder, he threw a 50-pitch side session and showcased not only his tremendous progress since the surgery, but an arsenal of well-developed pitches which made him so successful throughout his career. He impressed the Red Sox enough during the workout that less than a month later, a one-year contract was offered by the organization. That win against the Padres with the Cardinals was his only win with St. Louis that season. Smoltz finished 1–3 with an ERA of 4.26 with the Cardinals. He was 3–8 with an ERA of 6.35 overall with the Red Sox and Cardinals. In Game 3 of the 2009 NL Division Series, Smoltz pitched two innings of relief in a losing cause, allowing four hits and an earned run while striking out five. In 2008 and 2010, Smoltz served as a color analyst alongside Joe Simpson for Braves games on Peachtree TV. Nationally, Smoltz has been an analyst for MLB Network and called regular-season and postseason games for TBS. In 2014, he was hired by Fox Sports as a game analyst. He was paired with Matt Vasgersian and called games in the No. 2 booth. He has also joined Fox Sports South and SportSouth to be an analyst for select Braves games during the 2014 season. Smoltz replaced Harold Reynolds and Tom Verducci, his colleagues from MLB Network, as the lead analyst for Major League Baseball on Fox for the 2016 season, teaming up with Joe Buck.